Last week I shared the first part of my Haven Conference recap and mentioned I’d be back to talk more about the personal side: blogger friendships. Not going to lie, when I first started blogging, the idea of friending people online was bizarre to me. But I learned to quickly move beyond that frame of mind. In order to have a successful blog with a thriving community of readers / supporters, it’s essential to have friendships within the community. Yes, even your same niche. Locking arms, supporting one another, sharing tips for website tech stuff – we are in this together. Helping a fellow blogger ultimately helps you. You don’t want to appear unapproachable, not relatable or as a person hiding their cards. There is a yucky side of blogging, it’s true, but thankfully those incidents are minimal (I hope!). The great majority of bloggers understand blogging isn’t about competition. We are unique people with unique voices – and there’s plenty of reading eyes and brands to connect your message with. You guys, this is SO me! I’m all about chatting, mingling and being friendly, but my “social battery” drains quickly. When this happens, I recharge by spending time alone. 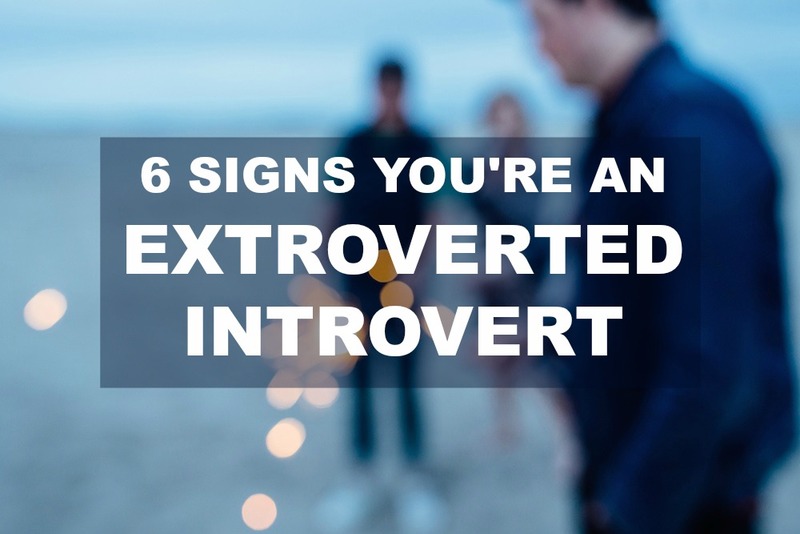 And I have a sneaking hunch a lot of bloggers can relate, as most of us are introverts. If you attend Haven or another blog conference, know your limits and pace yourself. There’s a lot to take in and do beyond socializing. And finally, it’s ok to approach the conference from wherever you are…and with whatever you hope to get out of it. For some, they attend for the business side (to grow) – for others, they attend for the friendships. Honestly, I’m not trying to be a “professional blogger”. I’m not saying that to shame anyone who’s aiming in that direction. Personally, my number one mission is helping families get organized, making my business stronger and better, sharing ideas here on the site and creating friendships with a community of like-minded people. I’m not about the page views or the numbers…OR the blog income…and don’t think after 4 years of blogging this little site is heading that in that direction anyway. Anyway, to put it simply and without adding more unnecessary bulk to this post, I first created blog friendships by commenting on blogs, sharing their content on mine, participating in blog hops or posting in / sharing link parties. Like those “in real life” friendships, I communicate and stay engaged. But you do have to work a bit harder when creating online friendships because we are communicating mainly through text / writing. Connecting with someone in person gives you that added advantage of hearing their voice, hearing tone, and really seeing their personality. Little by little, over time I had a handful of bloggers that had become great friends – many whom I still haven’t met in person. We now share a pinterest board and have a Facebook group where we ask each other questions / support one another. Before I knew it, I was being contacted by more blogger’s asking if I was interested in joining their guest series or if they could share one of my projects on their site / social platforms…or just to introduce themselves. The ultimate was finally attending that first conference last year. I not only met bloggers I already knew, I met new people who I stayed in touch with over the next year…and saw again at Haven this year. And of course, I met more new friends this year that I will support and get to know better until next year. It’s a fun cycle that makes returning to the conference less stressful / anxiety producing. Some attendees have been going to Haven since their first conference 5 years ago. Imagine how many friendships have been built in that amount of time! Erin, Amy and Christy are my longtime blog friends. I finally met them in person last year and saw them again this year. We are partnering soon for a back-to-school organization series, so be on the lookout for that next week! I’ve known Erin a long time, but didn’t know her adorable design / decor / fashion blog friends. They became fast buds of mine when I joined them for dinner one evening. Such a fun night! What I love about Haven is that it’s the perfect conference for a blogger with a combination of design and diy. To my core, I’m an adaptable person that enjoys lots of different people from varying backgrounds. So while I enjoyed spending time with bloggers who have a fashion / decor / design eye (above), I have an equal amount of fun hanging with woodworking / creative design folks (below). So incredible! She handmade each and every piece. It was not only a great photo background, it was a spot to hang business cards to connect with bloggers from our home state. Such a great idea and so so pretty in person! I found myself bouncing between these two groups while also meeting new friends…or finally meeting the faces behind blogs I’ve read for years, like Emily of Eleven Gables or Jenn of Build-Basic. So what did we talk about? You probably think all we talked about was blogging and the business behind it. That’s partially true. But we worked hard to set aside blog stuff and get to know each other. Learn about our families, where we live and talk about life on the other side of the computer screen. Many of the bloggers also run a business, like me. So it was fun to talk about something creative besides blogging, seo and conversion rates. Suddenly, we made the jump from swapping blog names to exchanging phone numbers so we could text and stay in touch. I’ll never forget last year when a few people asked for my address to mail holiday cards. I was like…whaaaaa? My address??? These friendships and their roots go deep. My blog has been a place to share organization projects, but over the years I’ve shared personal feelings too. Blogger’s love to write and share, create and design, help and inspire…and we feel a very deep connection to our blog and the community surrounding us. It was heartwarming to see so many people hugging when we arrived…and then crying when we parted ways. It’s a special crew. Because supporting our community is important, I want to be sure that every single blogger I connected with is shown some love here. Below you’ll find a complete list of anyone not previously mentioned in my recaps. These are exceptional bloggers that would love to have you stop by and leave a comment! Some are old friends, some new…and each amazing in their unique way! Leilani of Keeping Up With Mrs. Smith – she is hysterical! Building a blog community is important for your blog, but most importantly for you as the person writing one. Living in silos isn’t healthy and can see how it’d be easy for a blogger to feel isolated, alone or, worse yet, get used to feeling that way and not break out of the cycle. Maybe even start to compare themselves to others and get depressed they aren’t seeing the same success. If I can share anything with a newbie I’d say make sure to build your community of online friendships (remember, this can be done slowly) and give a conference a shot. I guarantee you’ll learn a ton and make lots of new supportive friends! Finally, I wanted to say a HUGE thank you to the Haven Conference organizers. I can not even imagine how much time, energy and late nights went into planning this highly-detailed event. Without them, this wouldn’t have happened. So a big thank you from me to these amazing ladies for an incredible experience! Love you two and everything you do!! So excited for next week! So awesome to have you here! Thanks for popping over to leave a comment. YES, it totally cross my desk at the right time. You hit every point beautifully!